Former Board Member Joy Kasson received a 2006 Carolina Women’s Leadership Council Mentoring Award. 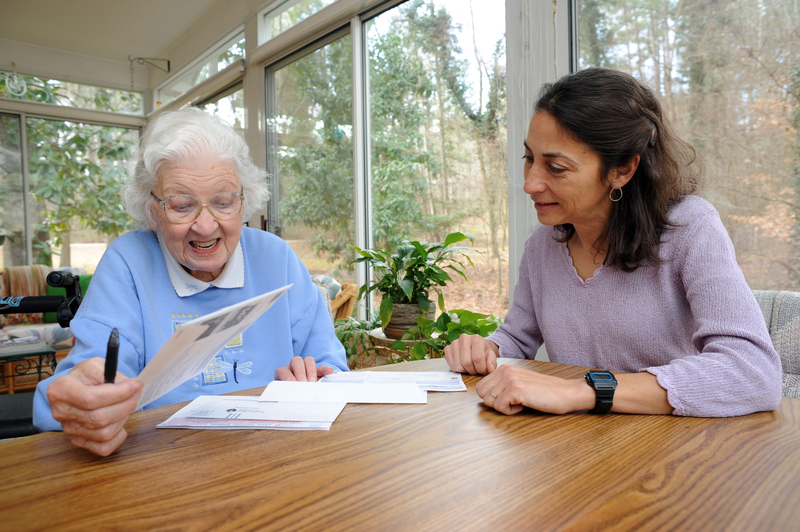 We hope you will come to one of our events to discover just how friendly we are! Dues for 2018-2019 are welcome any time. The cost for the year is just $30! Join or renew now, and your membership will be up to date through June 30, 2019. When you click submit, this page will reload with three PayPal options. Any person who is a member of the general faculty of the University of North Carolina at Chapel Hill or is a professional employee of the University is eligible for membership. 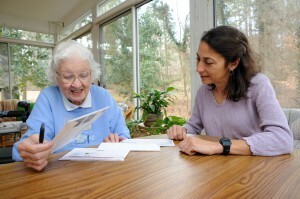 Board Member Sue Coppola, right, helps June Watson review her bills during a visit to Watson’s home. 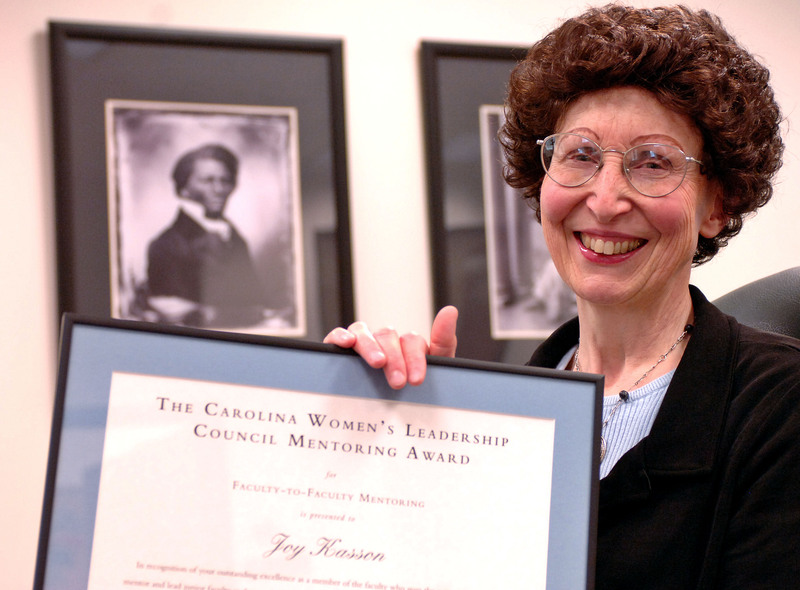 For the purpose of this organization, faculty membership is defined by The Faculty Code of the University of North Carolina. The term “professional employee” is intended to include, among others, research associates, research assistants and administrators at the University. AWFP invites all female employees classified as EHRA faculty, EHRA non-faculty, or SHRA exempt and other professional women at UNC-Chapel Hill to join AWFP and attend our events. For questions about AWFP membership, please feel free to contact any of our board members or e-mail us at awfp@unc.edu.